Almost 9 years old in picture. She is mother of WW-03 Ch. Tiddy's Nutshell, Ch. 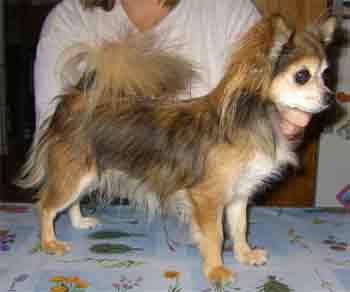 Tiddy's Hubert II, Ch. Tiddy's Eye Catcher and Ch Tiddy's Enigma. Two of her other offspring has CACs.